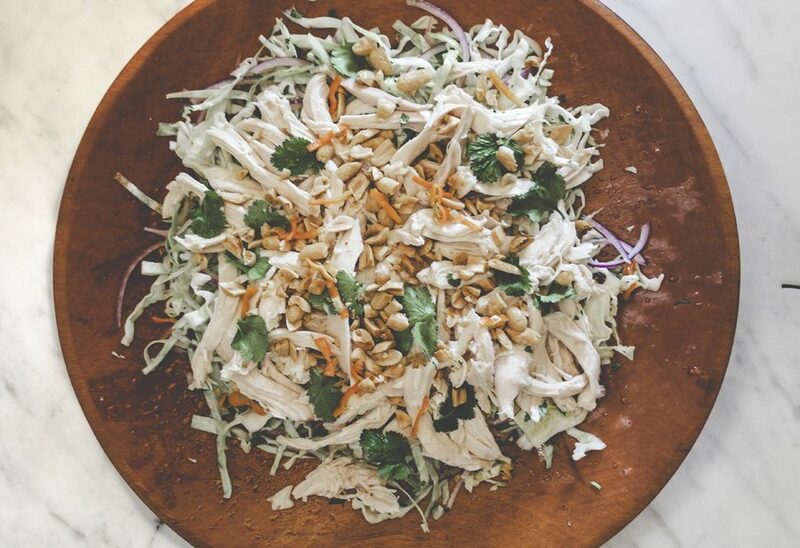 A light cabbage slaw with an optional fresh chile melds with shredded chicken in an easy, light lunch or dinner. This salad is perfect to make when you’re brewing up a batch of chicken stock if you’re starting off with fresh chicken (poach the chicken in the pot, let it cool, remove the meat, and then return the bones to the stock to simmer). 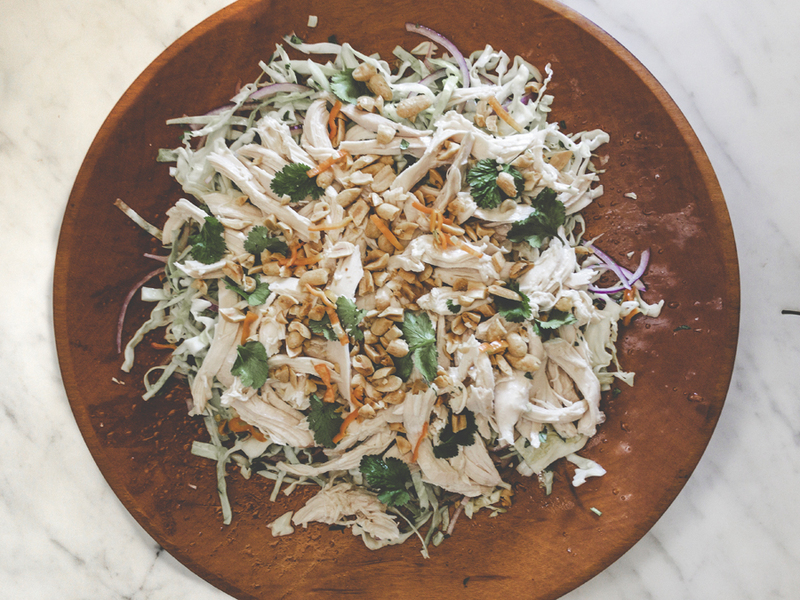 The delicately silky poached chicken meat is sheer perfection for any kind of chicken salad. That said, I’ve also made this salad with meat pulled from the rotisserie chicken when I’m in the mood for a protein-rich, crunchy, light meal. The chile is optional, so if you don’t like heat, feel free to leave it out, the salad has plenty of flavor either way. If you do use the chile, a red Fresno or orange habanero will look prettiest, but the more common jalapeño or serrano work as well.